After learning of a plan by United Nations Secretary-General Antonio Guterres to appoint Fayyad to lead the UN political mission in Libya, US Ambassador to the UN Nikki Haley said on Friday that the US was “disappointed,” claiming the move showed bias against US ally Israel. Palestine is a non-member observer state at the UN and its independence has been recognized by 137 of the 193 UN member nations. It remained unclear whether or not the US objection had ended Fayyad’s candidacy for the post. “It defies logic that the appointment of the most qualified candidate is blocked because it is perceived as detrimental to Israel. It constitutes a blanket license for the exclusion of Palestinians everywhere,” Ashrawi said in the written statement. Fayyad served as the Palestinian Authority’s prime minister from 2007-2013. 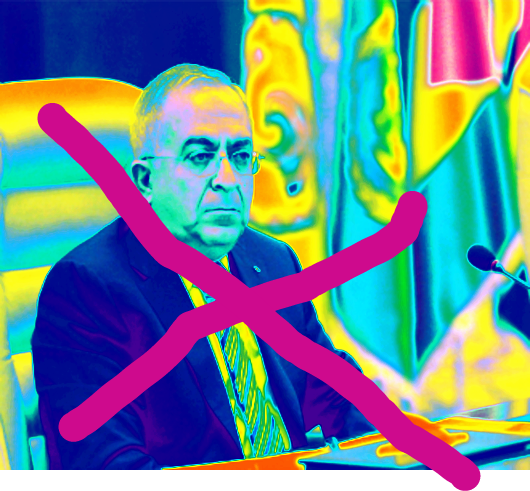 According to UN officials cited by Reuters news agency, Fayyad has the support of 14 Security Council members. Meanwhile, the UN Security Council is reportedly set to discuss the Palestinian-Israeli conflict on Wednesday, the same day US President Donald Trump is scheduled to meet with the Israeli Prime Minister Benjamin Netanyahu at the White House. The Israeli government has welcomed Trump’s presidency, as right-wing politicians believe they will more easily advance plans to expand Israeli settlements since Trump came forward as a vocal supporter of Israel and expressed opposition to a recently passed UNSC resolution that harshly condemned illegal settlements.